I am close to finishing version 3 of my NA 20b motor. New design is 3 plug per rotor, individual housing oiling and coolant systems, scalloped rotors, ITB's, and unique secondary throttle butterflies at the larger secondary intake ports built into the intake flange. This is designed to increase torque production at lower rpm while still producing the same top end power. We just started the motor up for the first time without the new intake system, just to bed in the motor. Should have the new intake system on in a few weeks. 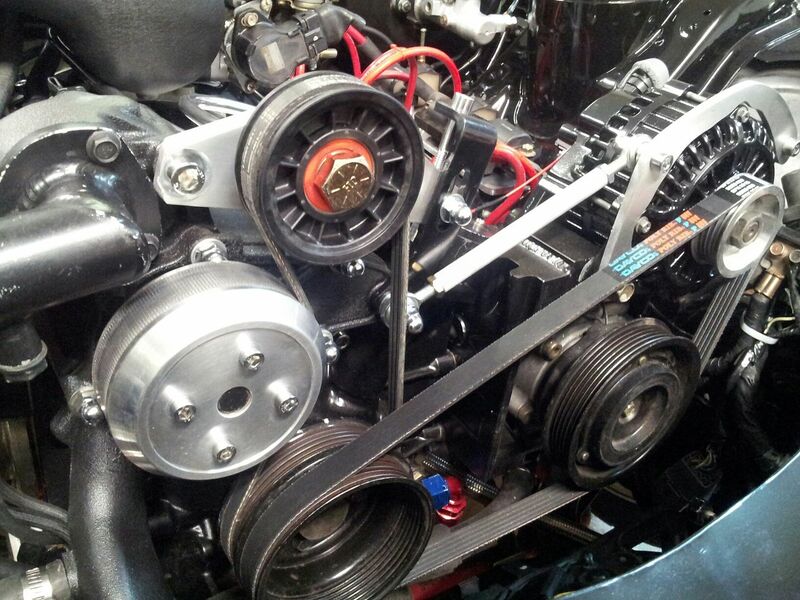 Here are a couple of pictures of the motor. Why the different coils for the trailing 2 plugs? Interesting build though, who built the engine? TitaniumTT... Yep, Brian, I misstated it. They were going to be LS2's, but we subbed in the 1's. WE3RX7... 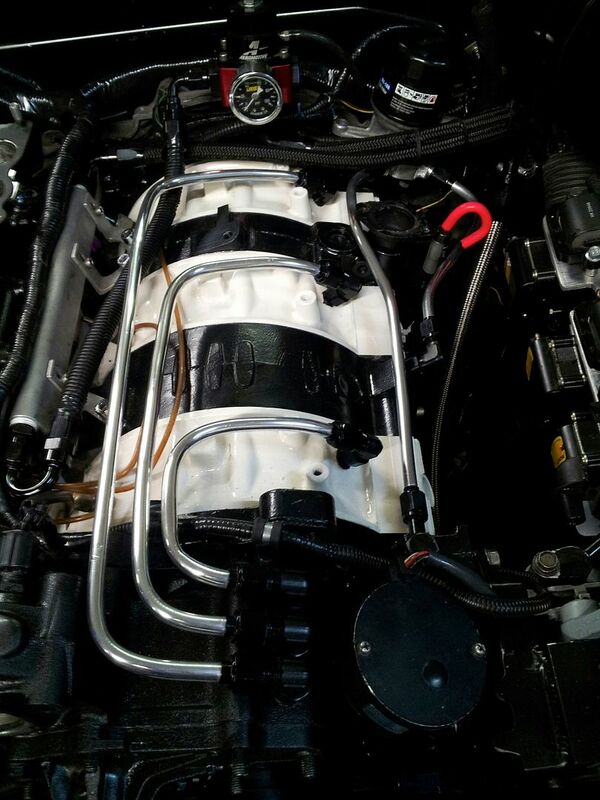 I had the 6 Bosch coils and Logan at Defined Autoworks chose the LS1's. Its one of the few things I didn't have a hand in and can't tell you why he chose them. who did the 3 plug conversion for you and what ECU you running? how much HP will it make you think? 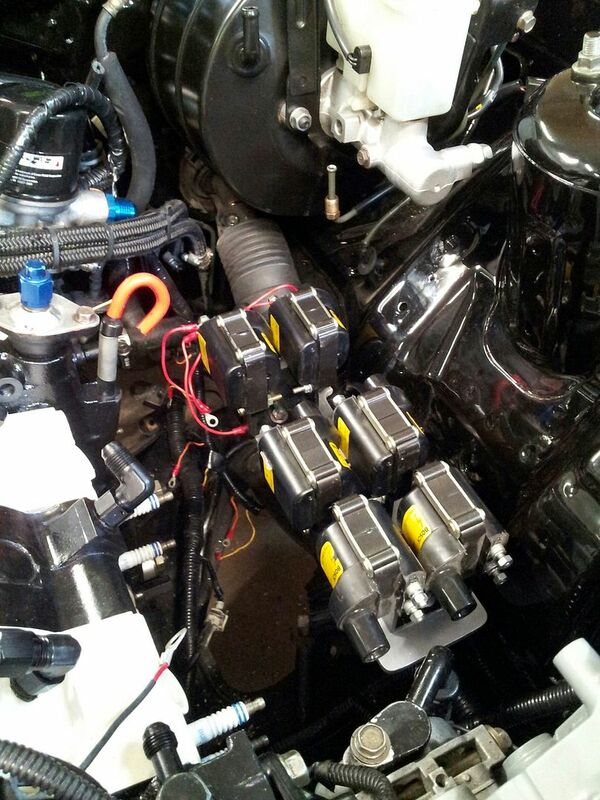 riceracing... Logan Carswell at Defined Autoworks did the 3 plug conversion. I'm still running my Microtech Ltx12 with an outboard x6 Igniter added for the extra plugs. I'm running the leading and trailing 1's with no split. As to hp, I don't know, of course, until its on the dyno, but would guess 375+ to the wheels. Most of the design changes I've made were intended to improve torque at lower rpm, including the dual path exhaust pipes and the secondary intake butterflies. I'm handicapped on max power, because I didn't want to dry sump the motor and go with ceramic seals. So, I have an 8500 rpm nominal redline. I think I could pull 400 if I ran to 9500 rpm. But, again, we'll just have to wait and see. Modified Magazine is covering a test & tune day at VIR on Monday, May 20th and in addition to track testing we'll have it on the dynos down there. We will have already done some pulls, but the motor should have close to 1500 miles on it by then and the numbers should be pretty stable. We're also testing a stock FD, a modded twins FD, a 20b turbo and a 4 rotor NA. Should be very interesting to see how they all handle and what the lap times are. Last edited by gmonsen; 04-26-2013 at 08:44 PM..
Is this going to be supercharged like your sig says? Hades... No. Separate project and way behind on it. This motor is the 1st one in my sig. It runs three 55mm ITB's. The supercharger project is to build a similarly "linear" power delivery motor to my NA, but aiming for 500 whp instead of a bit below 400 on the NA motor. I also like the whine of a supercharger. However, I am no longer sure I want or need more power than what I have or will have in a few weeks. Update... So, tomorrow we'll have the new intake and ITB's on. So, we'll get another start up by end of week with the completed motor and exhaust. Should be good. Please do post up the pix/info. Is it the ITB kit the one that Logan sells, or something you are custom fabbing up? I will definitely be keeping an eye on this. RedR1... Its the same type of throttle bodies, but, in addition to the original butterflies in the throttle bodies themselves, we are putting a second set of butterflies in the intake flange right at the secondary intake ports. This was an idea I got from my LT5 motor to help with low speed torque and to reduce gas consumption. 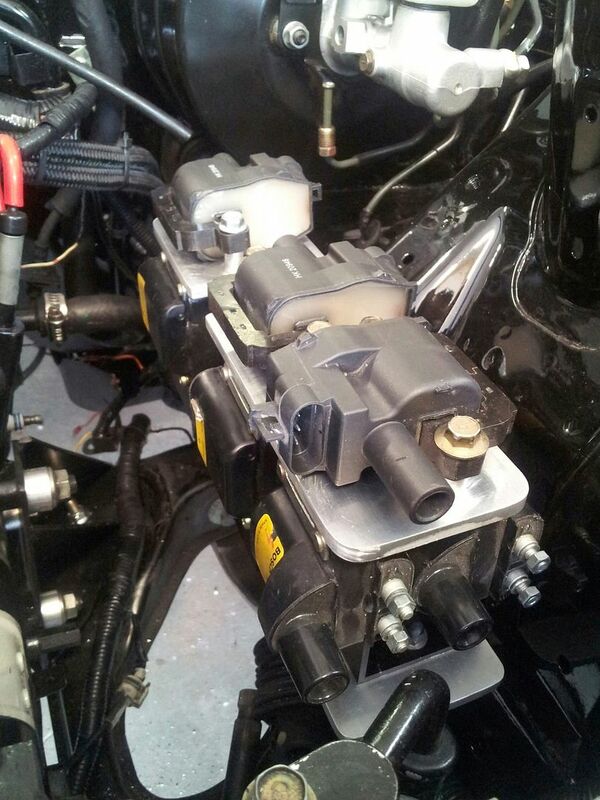 This was an idea I got from my LT5 motor to help with low speed torque and to reduce gas consumption. you have an LT5 motor? Yes. I have a 1990 ZR1 and love that motor. Imho, its the best V8 ever built in America. Nothing like it before or since.